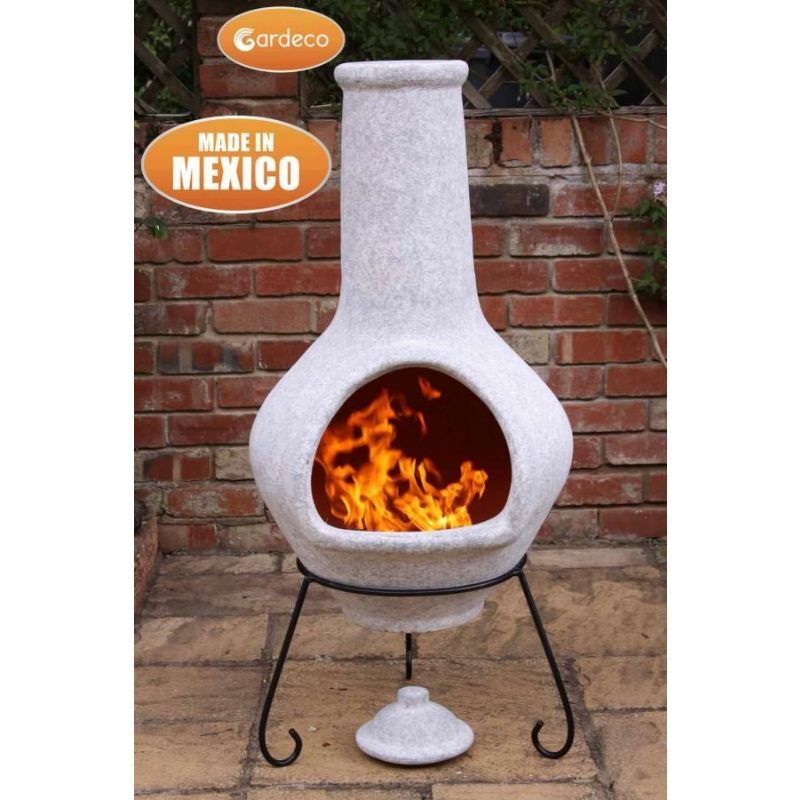 This Gardeco Tibor Jumbo Mexican Chiminea Mottled Pale Grey - Height 134cm clay Chiminea is a good size with ample room for cooking, barbecuing and a strong source of heat. 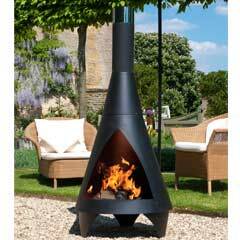 The Tibor has a big belly with a large mouth opening, plenty of space for logs with a decent view of the fire inside. 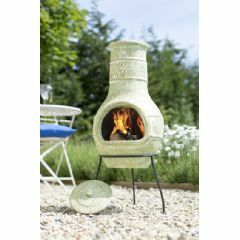 Painted natural terracotta throughout the mouth and top funnel, this chimenea is finished in glaze effect, giving it a stunning shiny glow. 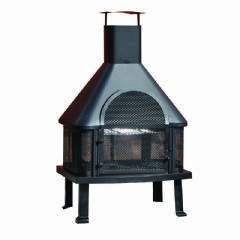 It can be used for cooking or simply to heat up you and your family when you’re spending time in your garden and patio. 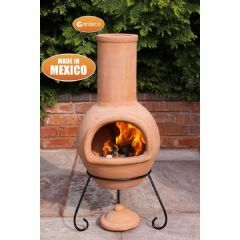 Mexican chimineas are some of the best functioning burners in terms of patio fires. 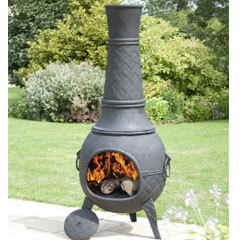 Their structure and design make them easy to light, no need for messy logs, the clay becomes hot and radiates the heat. 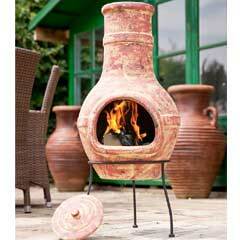 Easy on the eye, the huge mouth opening delivers ample heat and the glaze effect finish emphasises the colour. 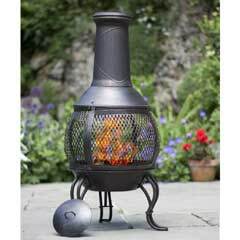 Take a look at our range of Gardeco Chimeneas, Fireplaces and Fire Accessories. Please be aware clay products may form kiln cracks in the drying process. 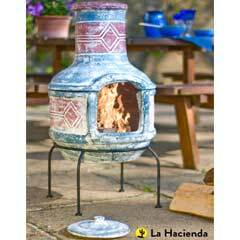 These kiln-cracks are not structural and will not affect the use of the product.